Are garbage patches really islands of trash that you can actually walk on? Nope! Although garbage patches have higher amounts of marine debris, they’re not “islands of trash” and you definitely can’t walk on them. The debris in the garbage patches is constantly mixing and moving due to winds and ocean currents. This means that the debris is not settled in a layer at the surface of the water, but can be found from the surface, throughout the water column, and all the way to the bottom of the ocean. Not only that, but the debris within the garbage patches is primarily made up of microplastics, which are plastic pieces less than five millimeters in size. 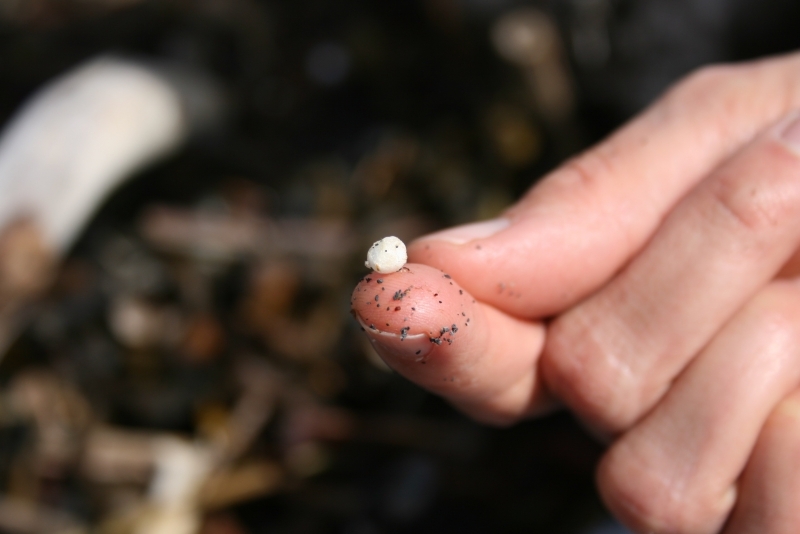 Many of these microplastics are the result of larger plastic debris that has broken into small pieces due to exposure to the sun, salt, wind, and waves. Others, such as microbeads from products like facewashes or microfibers from synthetic clothing, are already small in size when they enter the water. With such small debris items making up the majority of the garbage patches and the constant movement of this debris, it’s possible to sail through a garbage patch without even realizing it! I heard that the Great Pacific Garbage Patch is the size of Texas and you can see it from space! Since the garbage patches are constantly moving and mixing with winds and ocean currents, their size continuously changes. They can be very large, but since they’re made up primarily of microplastic debris, they definitely can’t be seen from space. Why don’t we just clean them up? Unfortunately, cleaning up the garbage patches is pretty complicated. Since the debris making them up is not only constantly mixing and moving, but also extremely small in size, removing this debris is very difficult. For these reasons, we generally focus removal efforts on our shorelines and coastal areas, before debris items have the chance to make it to the open ocean and before they have broken into microplastic pieces, which are inherently difficult to remove from the environment. However, preventing marine debris is the key to solving the problem! If you think about an overflowing sink, it’s obvious that the first step before cleaning up the water on the floor is to turn the faucet off—that’s exactly what prevention is! 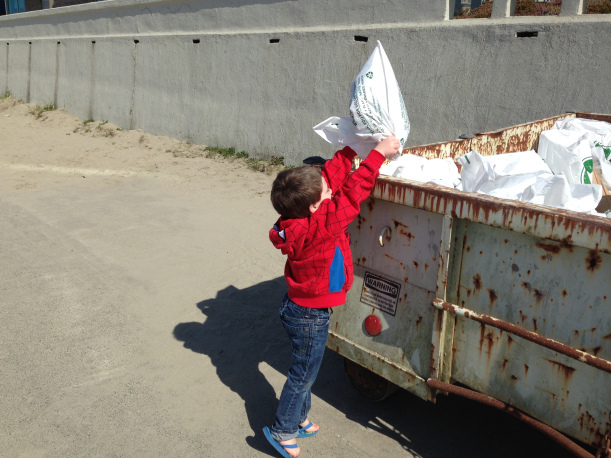 By working to prevent marine debris through education and outreach, and each doing our part to reduce our contribution, we can stop this problem from growing. Want to learn more about the garbage patches? 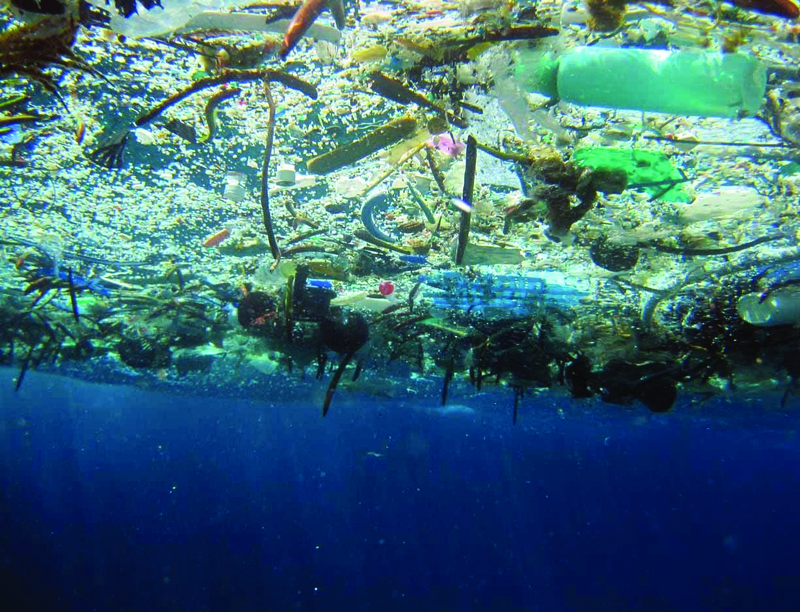 Check out this blog post or visit the NOAA Marine Debris Program website where you can find more information as well as our Trash Talk video on the Great Pacific Garbage Patch. Interested in learning the truth behind other myths? Check out the NOAA Office of Response and Restoration website throughout the week for more myth debunking!